Warp #2, originally uploaded by davidscf. 600 knots later and I’m ready to go. This was my first time tying on another warp and it was far less tedious and went by quicker than I expected. So yes, I’m totally loving my new-beaut Louet David 90. Plaited Twill Towels, originally uploaded by davidscf. 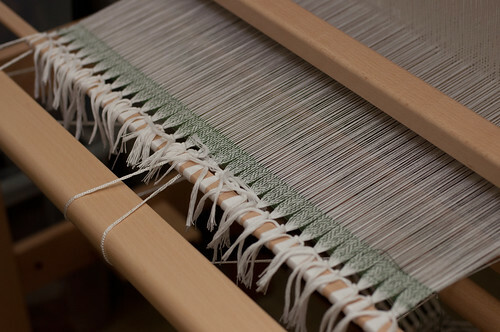 The start of the first towel in a plaited twill (Strickler #356). 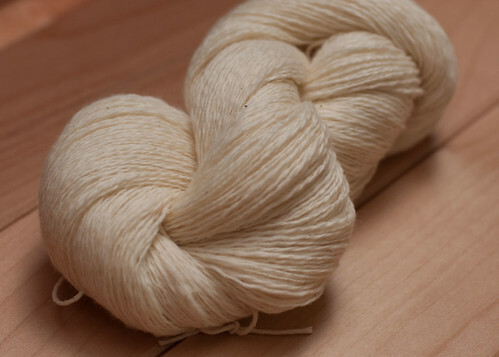 Warp is 22/2 Cottolin from Ashford. 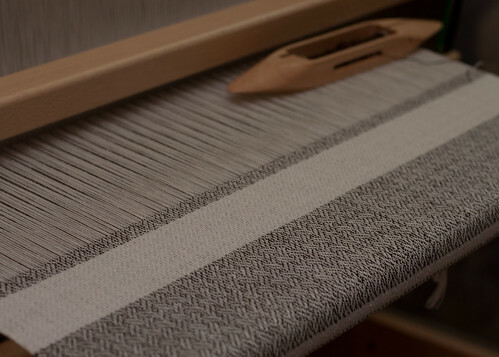 Weft is Euroflax Paris in “Caribou” from Louet. Cotton, originally uploaded by davidscf. As I suspected, I’m around halfway to my target of 650 yards. I’ll wait until I’ve spun the rest before I boil the skeins. You are currently browsing the Southern Cross Fibre blog archives for July, 2012.